This program is sure to give you the unique experience of glimpses of Bihar in nutshell though there are immense opportunity to explore Bihar. Here we tried to showcase the Bihar ancient days to present days the fast immerging Bihar has potential to be one the best tourist places on this planet as findings are still on the way and many which have been found has still got the place in tourism map. No matter what but to find out the unique offbeat experience one has to see what we wish to show you. Upon arrival meet and assist at the airport or railway station and transfer to the hotel. Later in afternoon explore the ancient city called Paltiputra with its rick cultural and ancient history to its. The City located on the bank of River Ganges. The ancient Kusumpura metamorphosed through Pushpapura, Pataliputra, Azeemabad and now into Patna, a continuous history ranging from 6th century BC to present times - a record claimed by few cities in the world. Explore the Patna museum, Sher Shah Suri Masjid, Agam Kuan, Kumhrar and Gol Ghar. Overnight at Patna. Today after breakfast you will be having excursion tour of Sasaram-the birth place of Afghan king Sher Shah Suri who ruled over North India till Afghanistan he is the man who has built the GT Road from Bengal to Kabul. 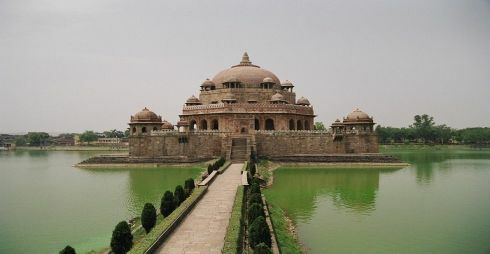 Sher Shah Suri’s 122 feet red sandstone tomb built in Indo-Afghan Style stands in the middle of an artificial lake has also aesthetic aspect of the Buddhist Stupa style of the Mauryan Period. Other attractions are tomb of Sher Shah Suri’s father Hassan Khan Suri known as Sukha Rauza. Sasaram also has a baulia pool used by Emperor’s for bathing. By evening return to the hotel in Patna for overnight stay. After an early breakfast drive to Nalanda: Nalanda was acclaimed a large Buddhist Monastery in ancient Magadha India. Located 95 kms away from Patna near the city of Bihar Shariff was the biggest center of learning from the 5th Century CE to 1200 CE. It flourishes under the patronage of Gupta and Harsha Empire at the peak students from as far as China. Korea and Central Asia was attracted for higher learning. Visit to Archeological Museum which exhibits the antiquities that have been unearthed at Nalanda and nearby. Other attractions are Xuanzang Memorial Hall, Nalanda Multimedia Museum. Continue drive to Vaishali en-route the famous longest Ganga Bridge which is now under renovation. Reach the headquarters of Vaishali Hajipur a fast growing city which and industrial town many ancient stories linked to the town. Reach Vaishali the ancient capital city of the Lichhavi and considered one of the first example of republic in the Vajjian Confederacy Mahajanapada around6th century BCE. This is the birth place of Bhagwan Mahavira in 539 BCE. Buddha preached his last sermon before his death in 483 BCE. This place is equally importance for Buddhist and Jainism. Vaishali has best preserved Pillars of Ashoka which is topped by Single Asiatic Lion. Notable attraction and sites are Kutagarasala Vihara, Ananda Stupa with Ashokan Pillar, Buddha Ashes Stupa built by the Lacchavis (Relic Stupa), Coronation Tank, World Peace Pagoda and Archeological Museum. Continue your journey and drive to Muzaffarpur famous for Shahi Lychees and is known as Lychees kingdom. Overnight at Hotel. After breakfast leave for Valmiki Tiger Reserve-the forest forms the eastern most limit of the Himalayan Terai Forests in India and only tiger reserve of Bihar. The finer sediments of Himalayan rivers deposits feature terrain lands. The Valmiki Wildlife Sanctuary has varied flora and fauna some of the animals founds are Tiger, Sloth Beer, Leopard, Wild Dog, Bison, Wild Boar and several species of deer and antelopes are found here. Apart from these Hyena, Leopard Cat, Wild cat,Fishing Cat, Langur, Monkey, Flying Squirrel, civets etc. are found. In some block one can even see the flying foxes. Upon arrival check into the park lodge or Eco hut. There are Safari and Rafting facilities being organized under the protection of Wildlife administrations. Take safari both in morning and afternoon. Optional one can also for rafting depending upon the water level. Lunch and Dinner at the Hotel or Lodge or Hut. · All transfers and sightseeing by AC Car as per above itinerary with personalized chauffeur driven car. · All meals during the stay at Valmiki Tiger Reserve. · 02 time Jeep Safari at Valmiki Tiger Reserve. NOTE: Park Opens from 1st of October and closes during monsoon. It is expected that the tourists visiting Valmiki Tiger Reserve will observe decorum and respect the tranquility and sureness of nature. · Wildlife animals sightings are matter of chance, be patient and enjoy the wilderness of forests. · Total silence and discipline enchances the chance of animal sighting. · If anyone sights any wildlife don't shout just indicate others by hand. · Don't wear colurful clothes. Khakis, brown and green outfits are the best suited for forests. · Don't use strong perfume. 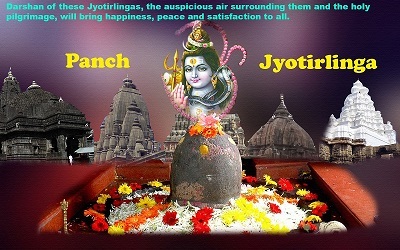 · Trekkers are advised to use jungle boots to ensure safety. · Give way to Animals first. · Carry a first aid kit with common medicines. · Respect animal and their habitat. · Strictly follow the gate timing. · Consuming alcohol or visiting VTR under the influence of alcohol is strictly prohibited. · Don't disturb or tease animals. · Smoking and carrying inflammable materials is prohibited to avoid forest fire. · Playing music and musical instrument is prohibited during trekking and safari visit. · Carrying arms and ammunition is strictly prohibited. · Carrying & consuming eatables while in forests is prohibited. Trekking: In Valmiki Tiger Reserve there is facility of short trek of 2-3 hours at select locations. Bird watching: Valmiki Tiger Reserve is rich in bird diversity because of its diversified habitat. The reserve has also been designated as an Important Bird Area (IBA) by the Indian Bird Conservation Network. Peep through watch Tower: Visitors of Valmiki Tiger Reserve can enjoy watching wildlife and landscape through watchtowers. Wooden watchtower of Ganauli Range provides a majestic view of river Manor and hills of Himalayas. Similarly watch towers at Bankatwa amidst pine grooves is worth visiting. Watch towers are also located at Thori, Bajani, Singha Sonbarsa, Bherihari and Bhaluthapa.